The Library has book sets available to check out for your book group. Who Can Borrow Book Sets? Nonresidents with a valid card. Homecard Library participants in good standing. 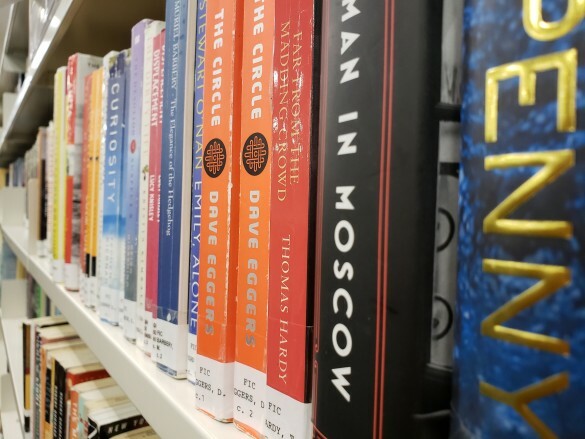 Libraries may also request book sets through interlibrary loan. How Do I Borrow a Book Set? Please contact us or come into the Library to check on availability of the book sets you would like. You may make an advanced reservation for a particular book set, which we recommend! Each book title, below, is linked to information about the book and/or a study guide. Our collection of book sets is always growing. We encourage you to check back for updates. Need help? Ask us!